Stock Low : 9 items left. 100% polyurethane. 100% polyester lining. 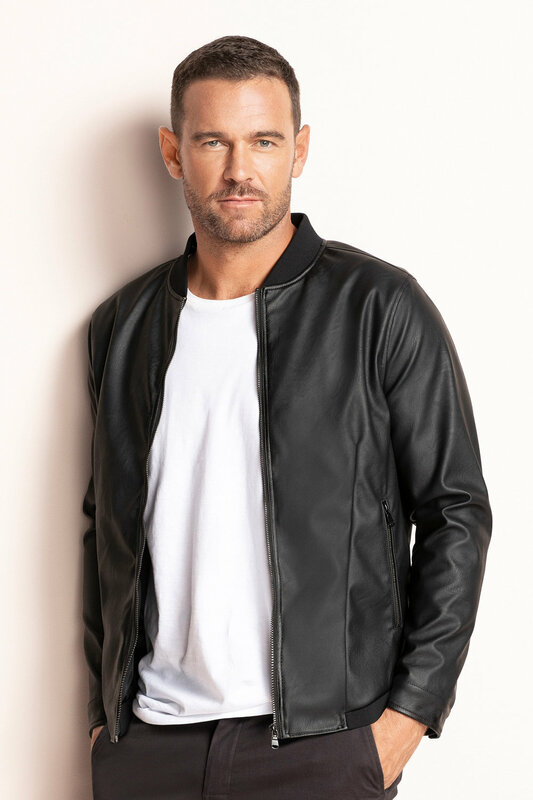 Crafted from luxurious, quality polyurethane, the Southcape Faux Leather Jacket is a timeless design that’s a must-have for any man. Available in black, this easy to style jacket features a zip-through front, front zip pockets and full lining. Stylish detailing like exposed zips and rib detailing on the hem, neckline and cuffs take this style to the next level. 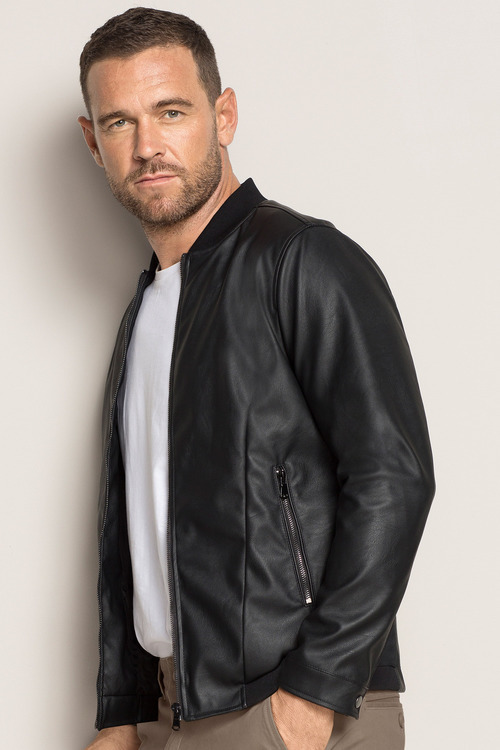 For a street-ready look, pair yours with a v neck tee, slim fit jeans and boots.